Yeah, faxing. As hard as it may be to believe, it's still sometimes necessary. Luckily, with some clever software and our trusty smartphones, we can still make it happen. Here's what's best for Android and iOS devices. 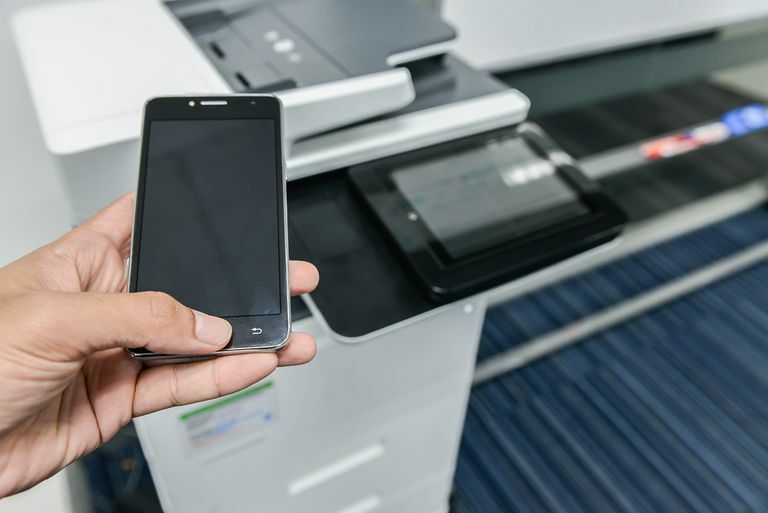 One of the most well-known internet fax services, eFax's mobile offerings can send faxes as PDF files directly from your device and can be integrated with your contacts for easy access. You can attach documents for faxing from DropBox, OneDrive, iCloud and other server-side storage repositories and are provided the option to add notes and even your own electronic signature prior to submission. eFax also allows you to receive faxes at your assigned number, which are viewable from within the app. A free 30-day trial is available which lets you sample the app and eFax's services, after which you'll be billed monthly with the amount dependent on the plan chosen. For a flat fee of $16.95/month, eFax Plus allows you to send and receive 150 pages, after which you're charged ten cents for each page. If you're planning to fax more frequently, the eFax Pro plan may be worth looking into instead. FaxFile provides the ability to send files or photos directly from your phone or tablet to fax machines in the US, Canada, and some international locations. Your files are transferred to FaxFile's servers, where they are converted into the proper format and sent to your destination as a hard, paper fax. The app supports both PDF and Word documents along with PNG and JPG images, such as those taken by your device's camera. No account or subscription is required to transmit messages via FaxFile but you do have to purchase credits, with prices varying based on whether you are sending to a domestic location or internationally. You cannot receive faxes, however, with the current version of the app. Another app that allows you to send faxes without registering or subscribing to anything, PC-FAX.com FreeFax lets you take a photo of your document and fax it directly from your phone; along with the ability to transmit certain email attachments as well. You can also type text in the app and send that as your fax message, or transmit documents from DropBox and Google Drive. FreeFax allows you to send one page per day for free to approximately 50 different countries including the US, Canada, Australia, China, Russia, Japan and several European destinations. To send more, there are in-app purchases whose costs vary depending on zone and number of pages. You can also receive faxes with FreeFax, but only if you register and purchase a host number. The app provides an interesting service aside from faxing, allowing you to send real letters via traditional snail mail for a fee. Genius Fax is another app that allows you to send both images and PDF files to a fax machine, with support for over 40 destination countries. In addition to the expected features in a fax app, it also provides real-time delivery confirmation and the ability to purchase your own number to receive fax messages at $3.99 per month (cheaper with a subscription). Its pricing structure is based on credits, where one credit equals one page. These credits are $0.99 when purchased separately, and significant discounts are available when buying in bulk (i.e., $19.99 for 50 credits). This feature-rich app offers an intuitive, easy-to-navigate interface that can send faxes quickly without creating an account or signing up for anything. iFax supports sending fax messages from PDF attachments as well as DOC, XLS, JPG and more. Integrated with DropBox, Google Drive and Box to transmit faxes from your cloud-based files, the app allows for customizable cover pages containing your logo, signature, etc. The scanner feature provides the ability to crop photos of documents and adjust brightness and sharpness before sending via secure transmission using HIPAA-compliant technology. iFax provides the option to pay per fax or through credit packages which can save some money if you're planning on using it often. There are many purchase options available, and you can even earn free credits by referring others to the app. If you choose to purchase a fax number you get unlimited inbound faxes sent to your device, with US-based numbers available free of charge for the first seven days. iFax also has Apple Watch support for receiving faxes. While certainly not the most feature-rich option on the list and known to be unreliable and buggy at times, we've included Fax Burner here for one key reason -- you can send up to five pages for free before spending any money. This is a one-time thing, but can be useful if you're in a bind and want to send a fax right away without digging out your virtual wallet. Fax Burner allows you to type a cover sheet wtihin the app, using your camera or photo library to attach images of whatever documents you need to fax. You can also sign forms before faxing. The following apps did not make the final cut but certainly deserve to be mentioned, as each offers its own positives when it comes to faxing from your phone or tablet.